Light luxtreme Embodiment Tank in Dark Chrome. Hazy Days Wunder Unders. I think this is a textured print (but am not sure). 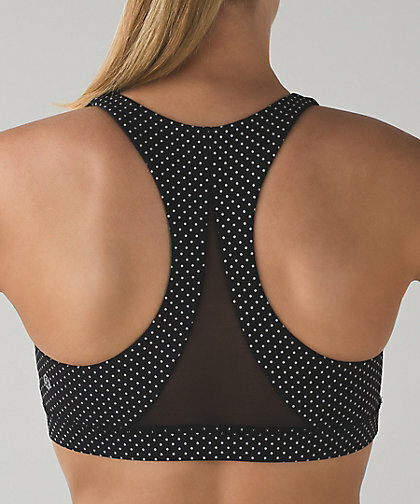 Reflective Invigorate Bra. Priced at $119 AUD which translates to $91 US. Reflective Hotty Hot Shorts. Priced at $169 AUD. Shine Bright Tank. Wish this was normal length. I like the crops but they weren't uploaded. Varsity Blue Shibori. I kind of like this one. 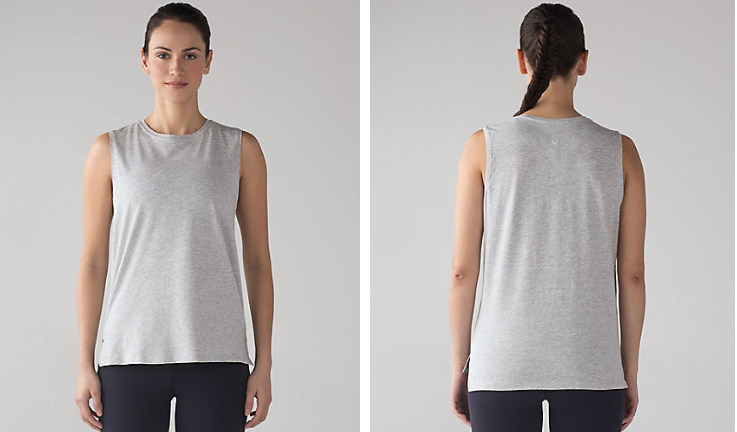 Love Sleeveless Tank. This is awful. On the Fly Pant, made of luxtreme. 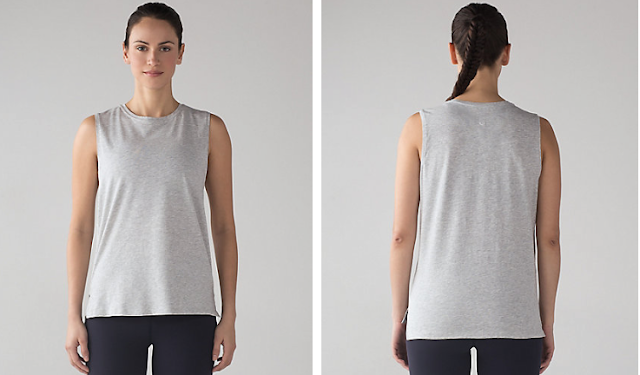 LOL at the love sleeveless tank....so boring, uncreative, UGLY! I really like that shibori bra. I like the crops shown with the shine bright tank as well but if that mesh is sheer I personally may feel uncomfortable. Nothing too interesting but I do have a soft spot for polka dots. So we will see. Their tanks and tops are sure getting shorter and shorter. What's with all the boring colours of their cotton tops, I guess that's to go along with all the boring designs. 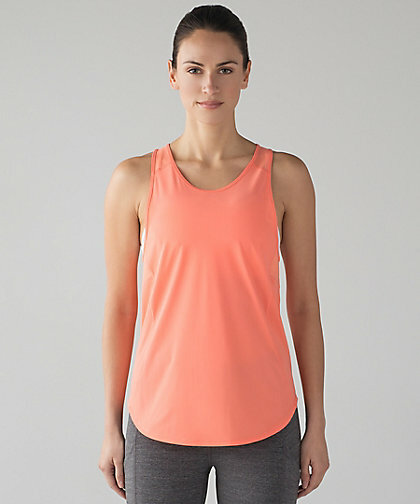 I couldn't agree more LLA that the Love Sleeveless Tank looks awful mostly because of the colour, BUT if they made this in a pretty pink, blue or purple I would buy it. 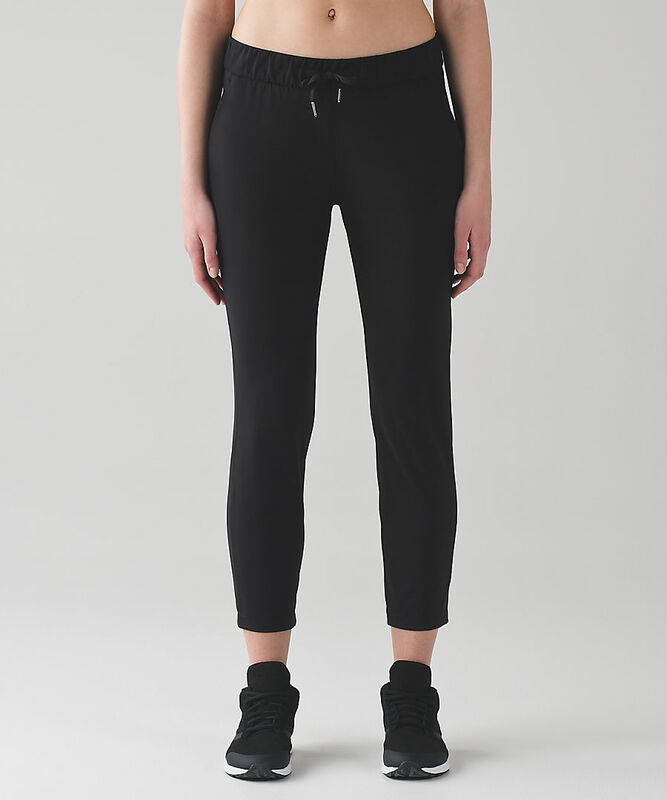 I am not a fan of luxtreme pants like the On The Fly Pant and sure hope this will not be a replacement for the amazing Street To Studios, which by the way, have been MIA for quite some time. I would like to add a few more to my wardrobe this spring. More mesh. 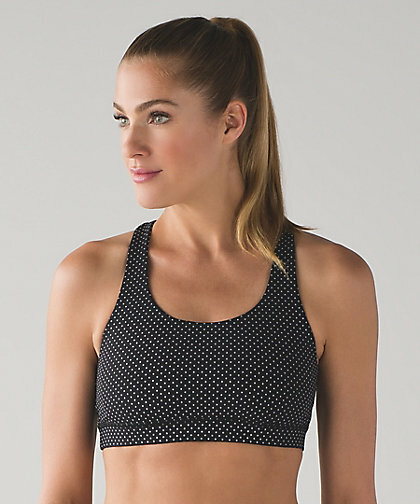 The Body Con crop and tight look like every other mesh crop and tight that we've seen for the last couple of years. 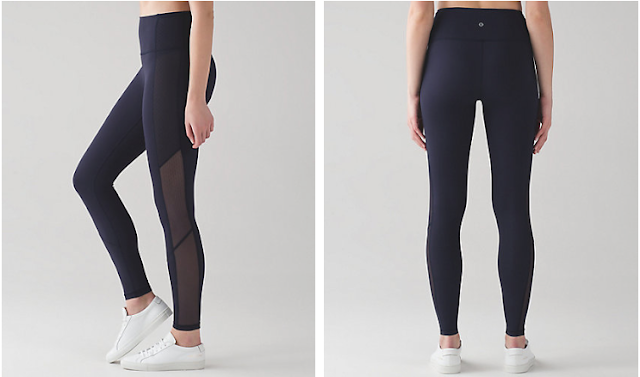 Enough with the mesh. I'm assuming this line is for yoga vs run/training. I feel like they've barely tossed any real running technical stuff at us. Pace Rivals are getting no love and swiftlies are the only thing and even those colors have been few and far between. Not that I'm buying at the new price point anyway. 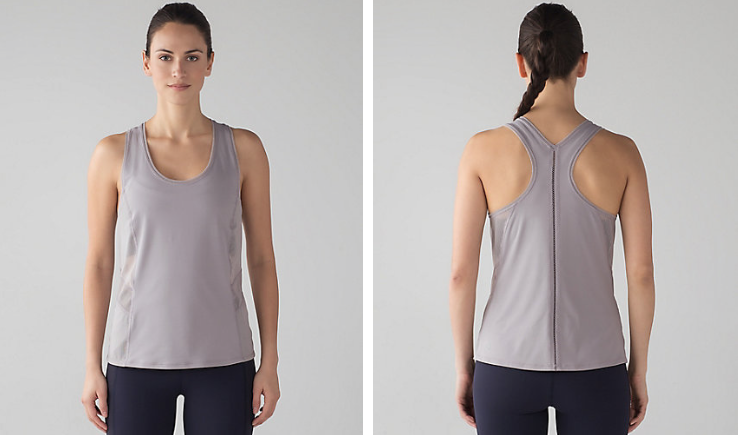 Embodiment tank - I like running in looser luxtreme singlet type of tops so withholding opinion till I try it on. However, something is off on the dimensions on the back to me. It looks weird but that could be the way the model is standing or photoshop hack job. How bad of a design is the Crescent top that the pictures have it tied in the front :O It basically looks like a regular t-shirt in the sleeves and collar. Not much "design" there. 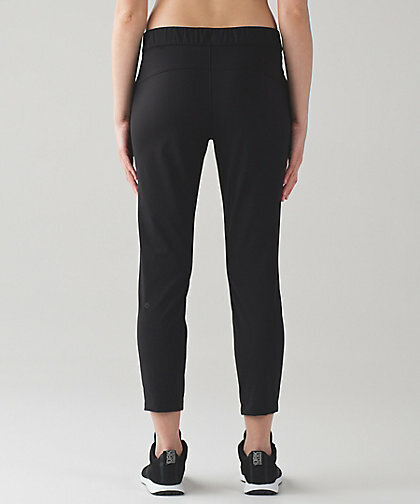 I can buy a nice T at Gap or the myriad other basic clothing stores for much less. Heck, even Target has nice soft T's with more design elements for less than $15. That Shine Bright tank is just a travesty. Apparently the model things so as well by the look on her face. Light Lave - because we haven't had enough of bright orangy tones like grapefruit, flare, flashlight, cape red. Oh wait, it's ALL we've had for the last 2 years. Love Sleeveless - Walmart. 'Nuff said. Daisy Dust - would probably be cute if we hadn't been inundated nonstop with black/white similar prints for the entire year or more that look pretty much the same. @ anon 7:12 am - agree about the back of the Embodiement Tank but I like luxtreme tanks so want to try this on and hope it's better in person. I feel the same way about Daisy Dust - I'd like it a lot better if it came in a color. 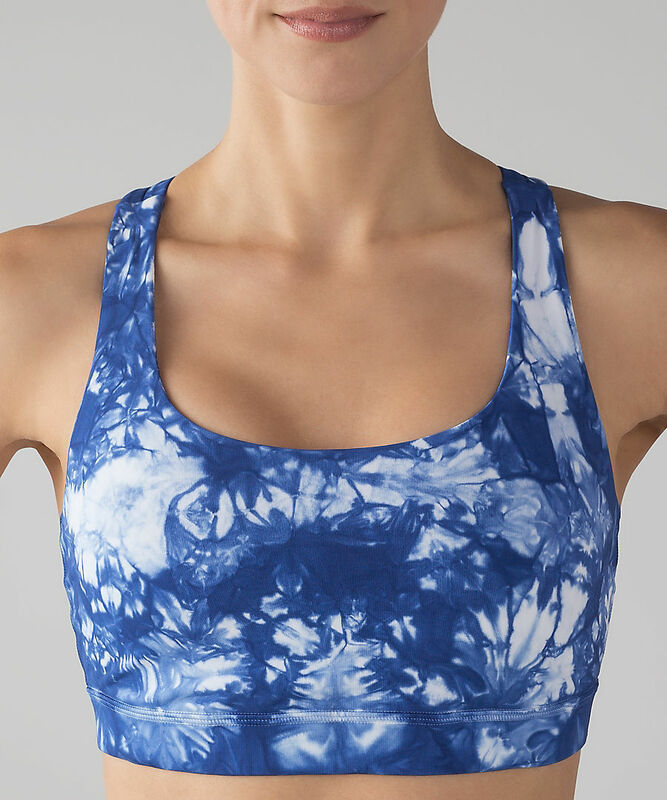 @ anon 3:12 am - I like the Shibori bra, too, but I wish it wasn't a stand-alone piece and they had a few other blue pieces to pair with it to really highlight it. i really wish they would stop with the mesh. So tired of seeing that all over my Gym and on the streets and shops in NYC. It is overdone!